Elizabeth Tan is a writer from Perth. She completed her PhD in Creative Writing at Curtin University. Her debut novel-in-stories, Rubik (Brio Books), was published in Australia and internationally in 2017. 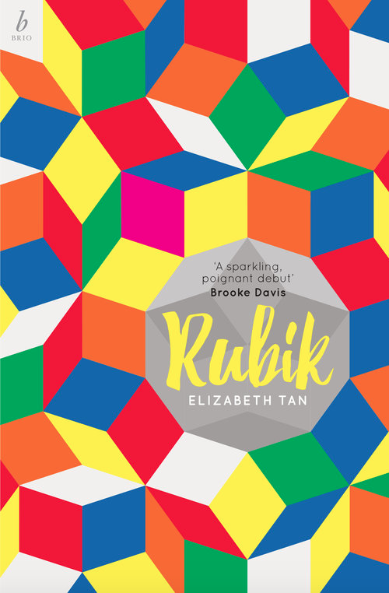 We sat down and had a chat with Elizabeth about how she got into writing, the genre of Science Fiction, setting her stories in Perth, and her intricate debut novel-in-stories, Rubik. What is your relationship to the short form? How and when did you get into writing? It’s difficult to pinpoint how and when I got into writing. I started reading when I was very young – I’d devour anything written by Enid Blyton; when I was about eleven, I discovered the fiction of Sonya Hartnett, which is perhaps when it catalysed for me that good storytelling is as much about the mastery of language as it is of plot. I dabbled in fan fiction as a teenager; I tended to excel at English over my other school subjects; I thrived more in my Creative Writing degree than in my Marketing degree at university. All along the way, friends and teachers and lecturers encouraged me. So I think I just followed the breadcrumbs, and I’m still following breadcrumbs. Your debut book Rubik (Brio Books, 2017) is classified as a ‘novel-in-stories’. Whether they are names, settings or concepts, the stories are linked with tiny clues. What made you decide to link all the stories in Rubik together, rather than have them be separate stories? At first, I thought it would be cool for Elena Rubik – whose death is the subject of the first story in the book – to continue to ‘live on’ in other stories, as I was interested in the idea of the self persisting as a collection of data after death. However, as I kept writing Rubik, more and more connections between stories would pop up organically, and a kind of ‘small world’ began to emerge – like how the characters in Lost unwittingly led closely overlapping lives before their plane crashed on the island. I thought this kind of ‘hyperconnectedness’ was appropriate for Rubik: it created a sense of paranoia, of there being some vast conspiracy afoot, which is how I think navigating the age we live in can feel like sometimes. Rubik lies just outside of realism, finding itself closer to genres of surrealism and science fiction, and explores our current cultural anxiety around technology and systems. How did your PhD project inform the themes in Rubik? For my PhD project, I was interested not only in investigating what makes science fiction ‘science fiction’, but also investigating stories that approximated a science-fiction feel without belonging properly to the genre of science fiction itself, such as Pattern Recognition by William Gibson and White Noise by Don DeLillo. I was interested in science fiction less as a genre of speculation and extrapolation into the future, and more as a style with which to describe and make sense of the present day. A theme that unexpectedly came to dominate Rubik is science fiction’s – particularly science fiction cinema’s – obsession with realness and authenticity: who gets to count as a real human; what gets to count as a real relationship; is this memory real; is this world real. One benefit of the novel-in-stories format was that I could disorient the reader from one story to the next – they could never be sure whether to take a story at face value – and disrupt the notion of a single trustworthy reality. Perth isn’t a common city that writers set their stories in; however, your narratives are set in a modern, ‘techno-saturated’ Perth. Was it a conscious decision to set Rubik here? Perth is the only place I’ve lived in and have any kind of deep familiarity with, so a lot of my fiction tends to be set in Perth by default. However, I do like the thrill of recognising Perth locations and Perth-specific minutiae in other people’s fiction – K.A. Bedford’s Time Machines Repaired While-U-Wait, for instance, and more recently Laurie Steed’s You Belong Here – and so it feels nice to hopefully give other Perth readers that same thrill with my own work. For Rubik specifically, I thought Perth would be a perfect ‘small world’–type setting – this is a city where there are only a few degrees of separation between one person and the next. The internet plays an important role in Rubik; how much of this was influenced by your upbringing, if it was at all? Everyone has their own idiosyncratic, unique relationship with the internet, and Rubik definitely captures my very particular relationship – consequently, I suspect that there are as many readers who find the technological references in Rubik alienating as there are readers who find them outdated and un-hip. I used to spend tedious school holidays hanging around my dad’s law firm, so I quickly became computer- and internet-literate from a young age; however, I’ve been very slow on the uptake in other ways – I didn’t own a smartphone for the whole time I was writing Rubik. It’s my hope that the mix of characters in Rubik – and their own mixed, lopsided engagements with technology and the internet – embodies this idea: the internet you know is different from the internet I know, different again from what someone else my age knows, different again from what our parents know, and that’s all okay – you’re not falling behind or missing out if you don’t ‘get’ technology in the same way as the people around you. You have been published in a plethora of publications, including The Best Australian Short Stories, The Lifted Brow, and Westerly. Are there any tips you live by to get you through the submissions process? Make sure you familiarise yourself with the publication before submitting your work. This can be tricky – it’s not viable to subscribe to every single literary journal – however, a lot of literary journals have free-to-access content on their website that you can browse, and also, if you’re a university student, you can check your library’s journal databases for back issues. It can be overwhelming, but I think it’s part of good literary citizenship to be aware of what’s being published around you and engage as much as possible with what your contemporaries are writing, instead of being in the game just for yourself. The more you read, the more it will become evident where your work fits and whether your work is up to scratch. 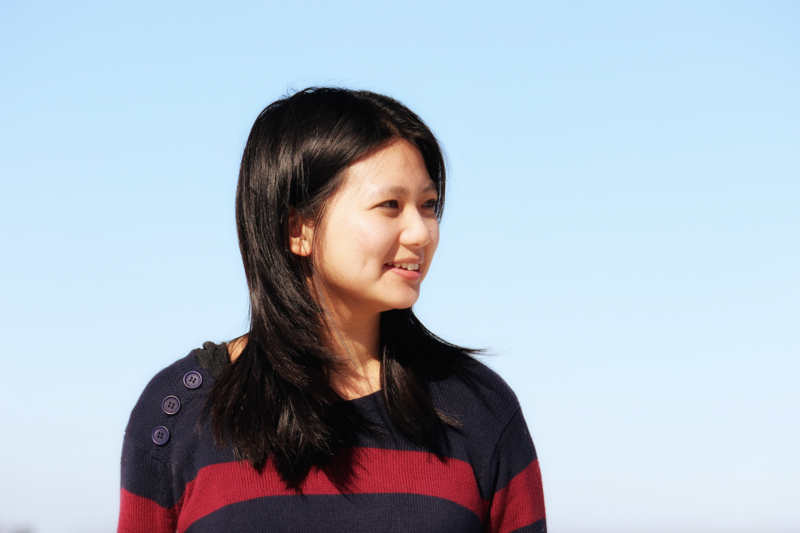 Elizabeth Tan’s work has recently appeared in Stories of Perth, Overland, Lenny Letter, Catapult, Mascara Literary Review, The Lifted Brow, and Westerly. Elizabeth will be on the panel: ‘Why Perspective Matters‘ with Roanna Gonsalves at the Festival. Find more info here!